The building carpentry is widely used for every structural field. The category of civil carpentry, that belongs to metal carpentry, includes a lot of works destined to be part of houses and commercial buildings. Sometimes we don’t even realize it, but metal is all around us: in the chair at the office, in the fence at home and, even if we don’t see it, inside the walls of our houses, in different forms and colors. That’s why the building carpentry is highly requested both from the consumers that from the retailers. Campana Forni is able to realize building carpentry works based on your needs, starting from the project and arriving to the finished product. All you have to do is telling us what you have in mind: we will take care of the design of the project and of the compliance to your expectancies. Only in that moment we will go on with the real building and the practical work of building carpentry. 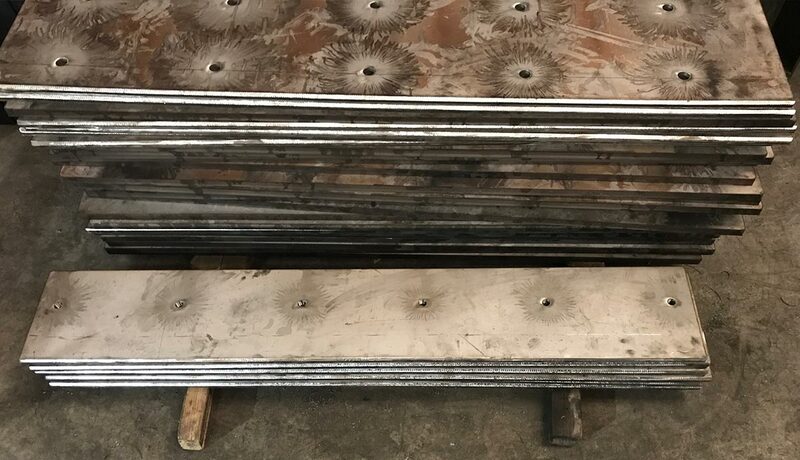 Thanks to our industrial furnaces we can make the materials pass through different process of annealing, tempering and other treatments, in order to prepare them for the following forging or procedure. In this way the metal constructions are incredibly solid and resistant, ready to do their job and last for years. Our company can count on the encounter and the fusion of different competences. Our engineers are responsible for the design of the elements of metal constructions. The specialized workers have instead a specific preparation and experience for the work with this element. Thanks to this collaboration, Campana Forni realizes elements of building carpentry, structural or decorative. Ours are mechanical works of decimal precision: holes, loops, reaming, millings, flares on all carpentry profiles up to 12 meters length. But it is not over with that: once the work is done, we ourselves take care of the transport of the finished product to its final site and we also take care of the assembly. A turnkey service thought to offer the best to our clients.